From left, Nadia Bernaz, Giulia, Michael Scharf (on screen), Anthony Cullen and myself. 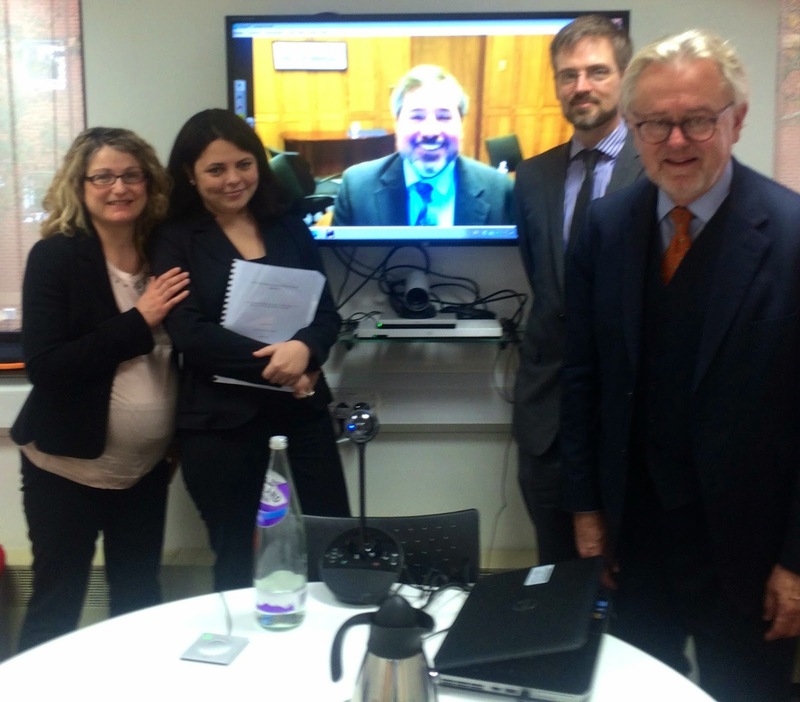 Giulia Pecorella successfully defended her doctoral thesis today at Middlesex University. The topic of the thesis was the United States and the Crime of Aggression. The examiners were Dean Michael Scharf of Case Western Reserve University School of Law and Dr Nadia Bernaz of Middlesex. The supervisory team was composed of Dr Anthony Cullen and myself. Congratulations, Giulia. The International Criminal Court announced yesterday that four of the accused in the Central African Republic situation would be released pending trial. The suspects are to spend their interim release in the UK, Belgium, the Democratic Republic of the Congo and France. This is a positive development from 2009, where six states were called upon to cooperate with the Court in giving effect to Jean-Pierre Bemba Gombo's provisional release, but failed to do so. The decision to release the accused was overturned on appeal, before the issue of state cooperation could be fully resolved. From left, Erica Howard, Rick Lines and David Keane, with Neil Boister on the screen in the middle. 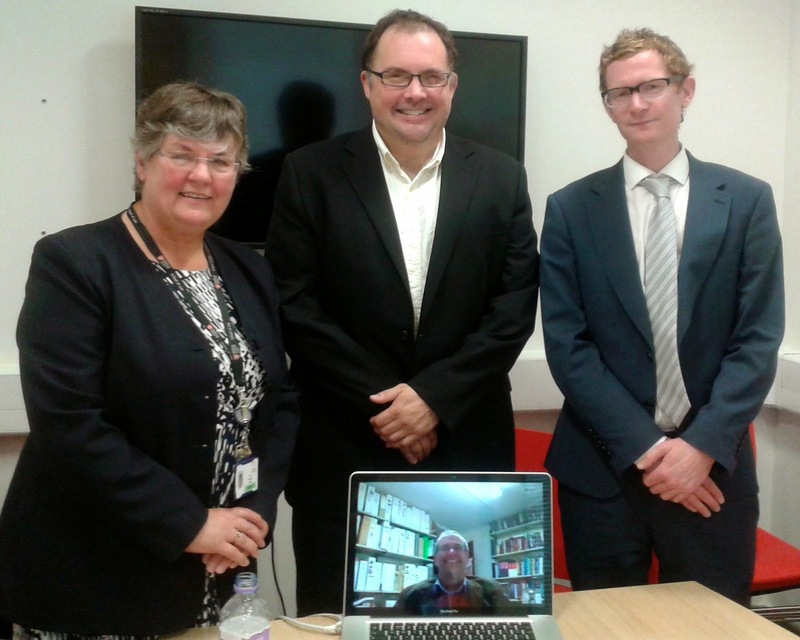 Rick Lines successfully defended his doctoral thesis today at Middlesex University. It is entitled: 'The ‘Fifth Stage’ of Drug Control: International Law, Dynamic Interpretation and Human Rights'. The external examiner was Prof. Neil Boister of the University of Canterbury, New Zealand. The internal examiner was Dr. David Keane and the chair of the proceedings was Dr. Erica Howard. Rick was supervised by Dr. Nadia Bernaz and myself. Congratulations, Rick. I have previously blogged about a decision before the Special Tribunal for Lebanon where it was held that the Tribunal's inherent jurisdiction to prosecute persons for contempt extended to legal, as well as natural, persons. That position was reversed in July of this year. Last week, however, an Appeals Panel of the STL determined that the Tribunal does indeed have jurisdiction over legal persons in this regard. It is a very interesting decision, and worthy of reading in full. Some of the more controversial elements of the decision are discussed below. A large portion of the decision discusses the extent to which domestic jurisdictions criminalise corporations, and the Appeals Panel ultimately concludes (at para. 60) that 'the Contempt Judge erred in not giving sufficient weight to domestic practice under Rule 3(A)'. There are three key errors with this approach, in my view. First, a number of the sources cited refer to corporate liability only for specific offences, such as money laundering, fraud, or corporate manslaughter. None of the state practice cited extends jurisdiction to corporate entities solely for offences against the administration of justice. This is significant, because the judgment distinguishes between contempt offences and other offences within the jurisdiction of the court, saying that there can be corporate criminal liability for the former but not the latter. Second, it is difficult to determine the grounds for finding that weight needs to be given to domestic practice under Rule 3(A), which states that the Rules 'shall be interpreted in a manner consonant with the spirit of the Statute, and in order of precedence': the principles of interpretation codified in the Vienna Convention on the Law of Treaties; international standards of human rights; general principles of international criminal law and procedure; and the Lebanese Code of Criminal Procedure. Principles of domestic criminal law and procedure are not listed in this Rule at all, and no solid reasoning is given as to why the contempt judge should have taken them into account. Perhaps we can say that the examples given show state practice, thereby giving rise to customary international law, but the crucial opinio juris element is missing. If states had believed themselves to be bound to impose criminal liability on legal persons, they surely would have included such persons within the jurisdiction of the International Criminal Court when drafting the Rome Statute. Nor can this state practice be seen as reflecting 'international standards on human rights', which refer to the standards set down in international human rights law conventions, nor the general principles of international criminal procedure, where international criminal law is further defined in the online version of the Rules as 'the branch of international law which deals with criminal conduct recognised by the international community as particularly heinous. These crimes are principally genocide, crimes against humanity, war crimes, and aggression.' It would have been much more coherent to base this findings not on the practice of domestic states globally, but on the practice in Lebanon itself. While the Lebanese Code of Criminal Procedure does not mention liability for legal persons, it is clear when read in conjunction with the Lebanese Criminal Code (i.e. the applicable law to the Tribunal) that criminal jurisdiction does extend to legal persons. Lastly, as pointed out by Judge Akoum in his dissent, the majority of these domestic sources are explicit in stating that 'persons' shall be defined as meaning both legal and natural persons, or otherwise spell out in detail the extent of their personal jurisdiction to cover corporations. This goes against the Panel's position that the ordinary meaning of 'persons' in the context of criminal law should be taken to mean corporate entities as well as natural persons. The Appeals Panel found that the Contempt Judge had committed an error of law by invoking 'an interpretation of the word "person" in Rule 60bis that was consonant with the letter of the Statute rather than its spirit'. This relates to its finding (in para 27) that it is 'a cardinal principle of interpretation that texts should be applied in a manner consistent with the spirit of the law…[which] necessitates ascertaining the aim and scope of the Statute as a whole'. We might also be worried by the reference to the Tribunal's inherent jurisdiction over contempt offences as being 'unconstrained' (para 76). According to the Panel, 'our jurisdiction remains undefined, only to be determined upon the crystallisation of circumstances that call for a judicial pronouncement'. To draw this point to its furthest conclusion, we might wonder about what kinds of acts that interfere with the administration of justice that are not listed in Rule 60bis might also fall within the STL's unconstrained jurisdiction over such offences. If the presiding judge's pen was stolen by an intern, could he or she potentially find themselves in the dock for interfering with the administration of justice? And, seeing as the temporal jurisdiction over such offences is equally unconstrained, what about that person who distracted the judge in law school when he or she was trying to learn about a key principle of criminal law? These examples are obviously fantastical but they underscore a problem with allowing, through judge-made rules, unfettered jurisdiction over a matter that can give rise to up to seven years in prison and/or a hefty fine. The decision will be welcomed as opening the door for liability for corporations in other matters, and we might muse whether this was the underlying aim, given statements like 'modern history is replete with examples where great harm has been caused by corporations with the advantages that result from the recognition of their status as legal persons' in the judgment. It must be noted that the decision is actually quite convincing in parts. For example, I made the point in a previous post on this matter that the fair trial provisions refer to 'he or she', not 'it', but the Appeals Panel rightly pointed out that this gendered language does not appear in the French or Arabic versions of the Statute. Where this most recent decision falls down is in the illogical consequences of its ultimate conclusion - that corporate liability only attaches to contempt offences. Perhaps a wiser approach would have been to base the decision on the fact that the tribunal applies Lebanese law and that Lebanese law attaches criminal jurisdiction to legal, as well as natural, persons. Therefore, it could be argued, legal persons can fall within the jurisdiction of the Tribunal where offences are undertaken on behalf of or through that legal person, pursuant to Article 210 of the Lebanese criminal code. This rather straightforward point is obfuscated and diluted by the lengthy reference to extraneous matters, and some questionable legal conclusions, in this most recent decision. 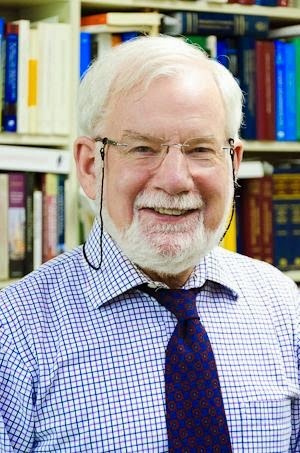 Professor H. Patrick Glenn, of McGill University, has passed away suddenly. His masterful Legal Traditions of the World, the most recent edition of which was only published in August, took readers beyond the civil law/common law paradigm, to discuss such legal traditions as the Confucian, Islamic and Talmudic systems. By all accounts, he was a gifted, generous, and inspiring teacher. Our condolences go out to his family, friends, and colleagues. Terrorists and serious criminals who pose a significant threat to the security and safety of UK citizens would lose their right to stay here under Human Rights Laws. In other words, the current government sees nothing wrong with extraditing individuals to face torture elsewhere. People who commit serious crimes in the UK, and in doing so infringe upon the basic rights of others, should lose their right to claim the right to stay here under the right to family life. So for example, a foreign criminal, guilty of causing death by dangerous driving and so taking away the rights of another citizen, would not be able to claim family rights to stay in the UK. Well, this makes perfect sense. We cannot have these people who have served sentences for dangerous driving roaming the streets, even if they are banned from driving for life. Who cares if their British children want to live in the same country as their parents? Indeed, why stop at foreign criminals? Let's reinstate Van Diemen's Land as a penal colony! No one would be able to claim human rights to allow them to step outside the law that applies to all other citizens, for example a group of travellers claiming the right to family life to breach planning laws. To say that planning laws will trump human rights shows just how toothless the proposed new Bill of Rights will be. The whole purpose of human rights is to protect citizens from an abuse of state power and unjust laws that violate their fundamental freedoms. The right to family life would be much more limited in scope. For example an illegal immigrant would not be able to claim the right to family life to stay in the UK because he had fathered children here when he is playing no active part in the upbringing of those children. This example is just ridiculous. If he has no established family life, he cannot currently claim leave to remain under Article 8. How would one prove that they play 'an active part in the upbringing of children', anyway? By taking them to the pub and leaving them behind?! Limit the reach of human rights cases to the UK, so that British Armed forces overseas are not subject to persistent human rights claims that undermine their ability to do their job and keep us safe. I do not believe that the torture, inhumane or degrading treatment, or the deprivation of life or liberty without due process of law of persons in war zones under the effective control of the British Army are imperative tenets of keeping us safe. And the extraterritorial reach of human rights law is anything but extensive, as Lord Dyson noted in a recent lecture. One wonders how supporters of these reforms would feel if they knew that this anti-extraterritoriality clause would also mean that members of the armed services would themselves have no claim for violations of their rights whilst in service abroad. 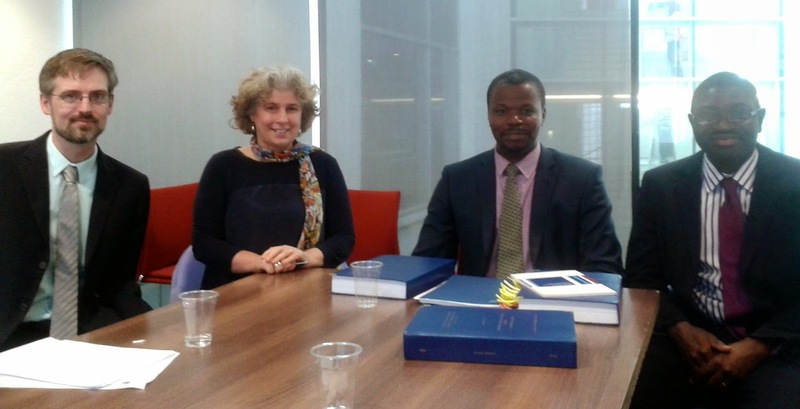 James Nyawo successfully defended his doctoral thesis at Middlesex University today before a jury composed of Dr Dapo Akande of Oxford University, who was the external examiner, and Dr Anthony Cullen, who was the internal examiner. Helena Wray presided. James's thesis is on Africa and international criminal justice. He was supervised by Dr. Nadia Bernaz and myself. Congratulations, James! From left, Anthony Cullen, Helena Wray, James Nyawo and Dapo Akande.